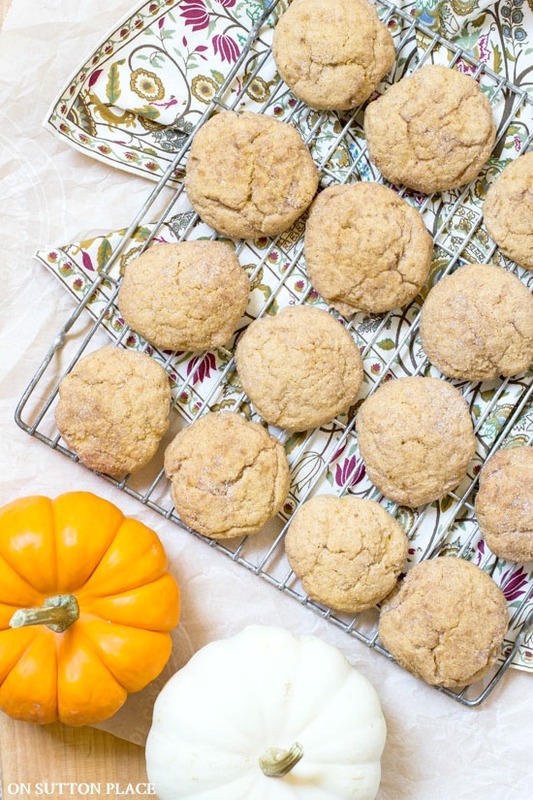 In this post: Pumpkin Snickerdoodle Cookies. An easy recipe with a twist on the traditional Snickerdoodle cookie. Great Thanksgiving dessert idea or after school snack. Sometimes it makes me nervous to mess with an American classic. Snickerdoodle cookies have been around a long time. Chances are they didn’t originate in the U.S. but they have been a part of our culture for what seems like forever. The sign of a true Snickerdoodle is the cinnamon and sugar coating on the outside. So even though there is pumpkin in these Pumpkin Snickerdoodle Cookies, they are the real deal! Each ball of dough is dropped in the coating and the end result is amazing. 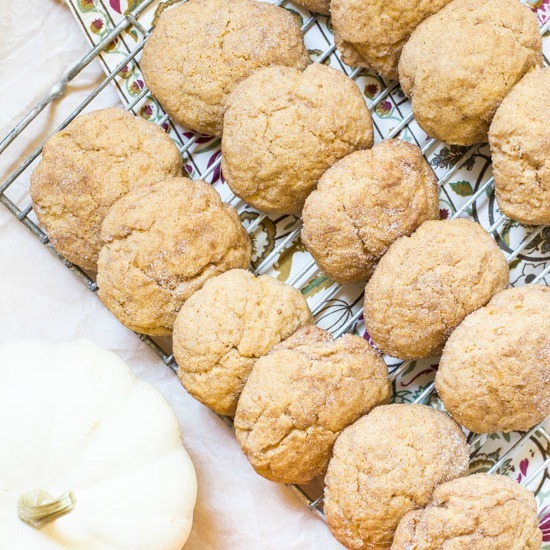 Pumpkin Snickerdoodle Cookies for a sweet treat! 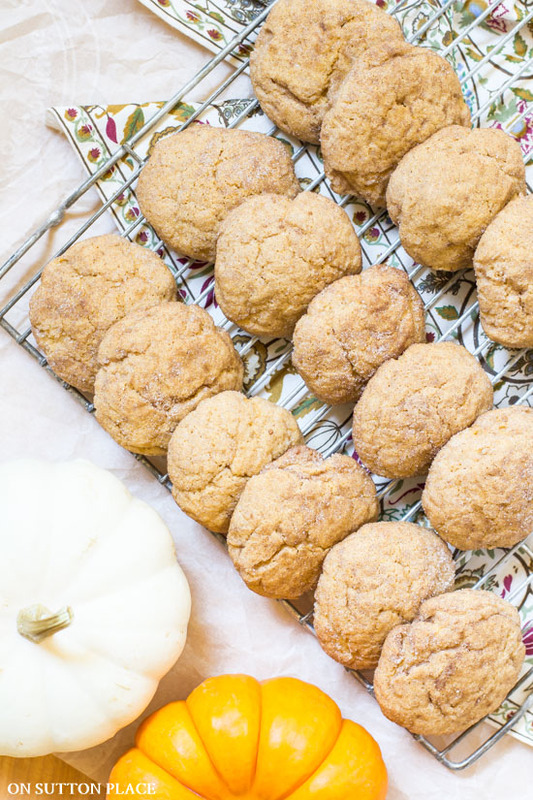 These little pumpkin snickerdoodle cookies are the perfect fall treat…for after school, in lunch boxes or with a cup of coffee. They would also be a big hit on Thanksgiving Day. They stay fresh in an airtight container for several days so they are a great make-ahead dessert. This recipe can be doubled if you want to make enough to freeze. Freezing some might actually be a good idea because they are slightly addicting. Believe me, you will not be able to eat just one. Pumpkin Snickerdoodle Cookies. An easy recipe with a twist on the traditional Snickerdoodle cookie. Great Thanksgiving dessert idea or after school snack. In a large bowl or bowl of a standing mixer, combine the butter, sugars, pumpkin, egg and vanilla. In a separate bowl whisk together the flour, baking powder, baking soda, salt, cinnamon, nutmeg and cream of tartar. Slowly add dry mixture to pumpkin mixture. Mix until combined but do not over mix. Combine 1/2 c. sugar and 1 t. cinnamon in a small bowl. 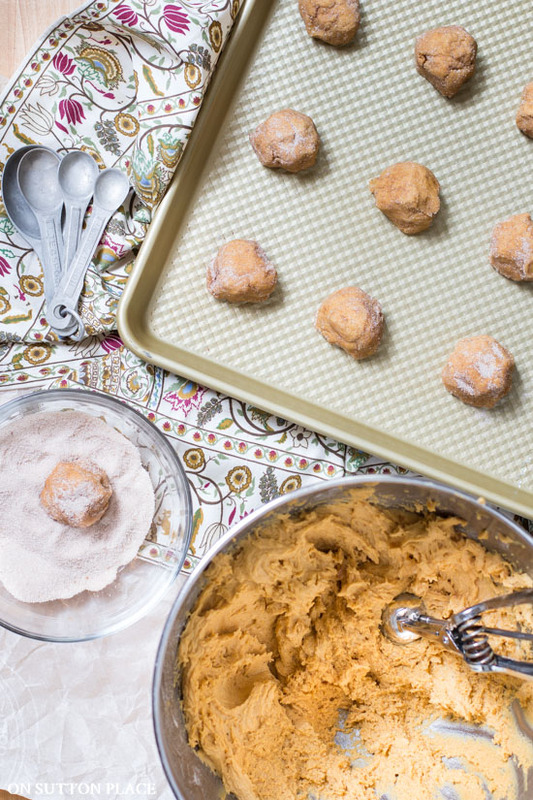 Scoop the cookie dough and roll into balls. Drop the balls in the sugar/cinnamon mix and roll around until the ball is covered. Once the balls are on the ungreased cookie sheet, flatten with the bottom of a small glass. Can be stored in an airtight container for several days. If you have never made these pumpkin snickerdoodle cookies, I hope you give them a try. The smell when they are baking makes the house feel all warm and cozy. They really are comfort food at its best. and if you are in the mood for more pumpkin recipes just click the link below. I’ll be back in a few days…until then enjoy something pumpkin! Could not print recipe. Page kept saying 403 forbidden. These sound good. I’m not a huge pumpkin fan so think I will try with sweet potato. OK … now I must make these cookies!!! you have never failed me yet! LOL will let you know! Those look so good! I first made snickerdoodles in Home Ec class many years ago… I bet these are even better than the ones I remember. Snicker doodles originated in Germany, I have not tried these yet but they look delicious! These are one of my hubby’s favorite cookies and I never make them and by never I mean it’s been years. I think I tend to bake my favorites more often. LOL Pinning! sounds yummy! 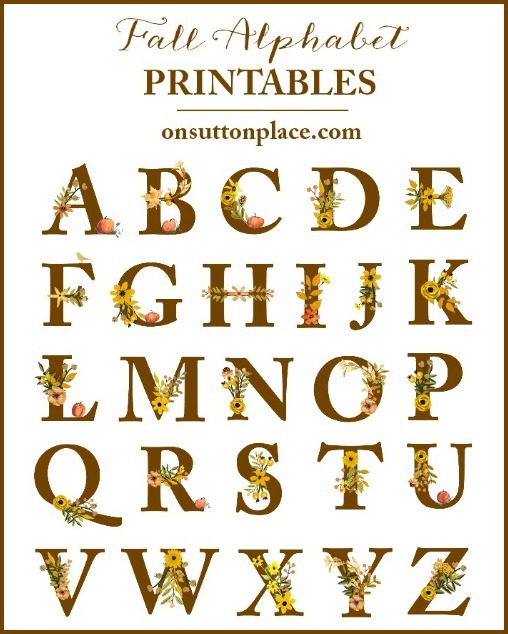 Please come share in my “Fabulous Fall” Linky Party! Those cookies look and sound wonderful….I love everything pumpkin!!! These cookies look and sound amazing. 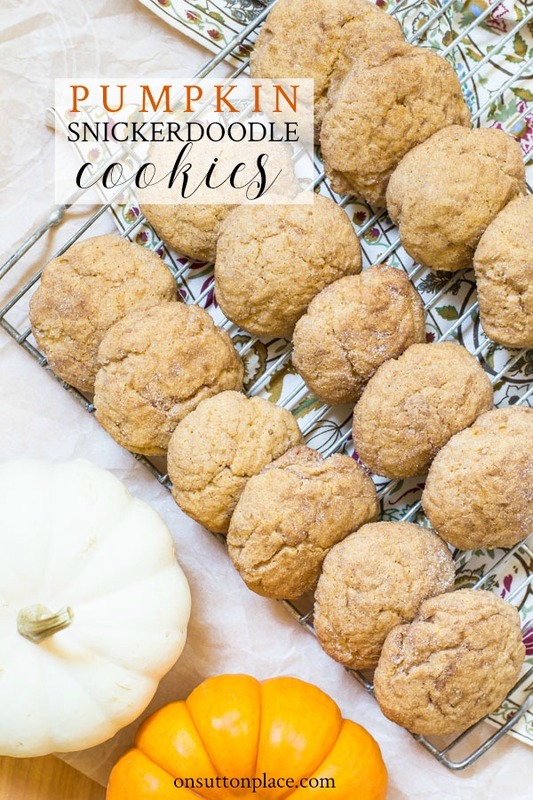 My family and I are big fans of traditional snickerdoodle cookies, so I can only imagine how wonderful these ones taste with the added pumpkin flavors! These sound so good. I will be making these today for my family. Thanks for another great recipe. Love Snicker doodles and with pumpkin OMG. PINNING. Thank you. Ann, I can’t wait to try these. I am such a cinnamon freak. I really am terrible when it comes to a good cinnamon recipe. I will eat cinnamon coffee cale and a cup of coffee anyday over bacon and eggs. Thanks for sharing. haha. Yes I knew! Thanks for taking the time to leave me a comment. I appreciate it! Ann, I can’t wait to make these! They look so yummy! Thanks for sharing all of your wonderful recipes with us! These look and sound delish. I can’t wait to bake a batch. These look so good! I want to make these!